We visited Singapore during a 3 week trip around Thai Land and India and ended up in this amazing city all by accident! Our original plans were to go to Darjeeling, however due to there being a strike throughout the whole country, we had to quickly change our plans. It just so happened that Singapore was the only country in the area we were visiting where you didn’t require a visa… So after a chat with our airline, we changed route to Singapore – not a bad place to find ourselves! We stayed in a lovely hotel called The Sultan which we chose as we wanted to find a hotel that was near to Arab street Old Singapore area but still had some luxury to it – this was the perfect answer! Be warned… this place was not cheap, however nothing in Singapore is! The front of house staff could not have been more helpful, showing us maps to the areas we wanted to visit and organising our tickets to the night safari – which may I add was brilliant! A chance to see wildlife in action at night time was pretty cool – I would totally recommend it to anyone. 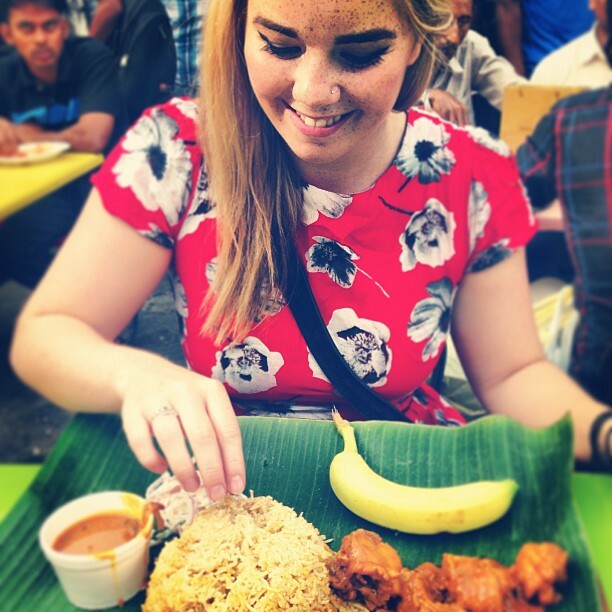 We were lucky enough to be located right by little India which was AMAZING. The food, smells, hustle and bustle in the area made you feel as though you were really in India. We were also lucky enough to get into contact with some family friends while we were in Singapore who whisked us off to a brilliant little Chinese restaurant on the outskirts of the city that we would not have known about if it wasn’t for them. Unfortuantely I can’t remember the name of the place (which is a shame as it was full of Chinese people – and I’m a big believer in if a Chinese restaurant is filled with Chinese people then it isn’t going to be your usual sweet and sour balls – which I love!). 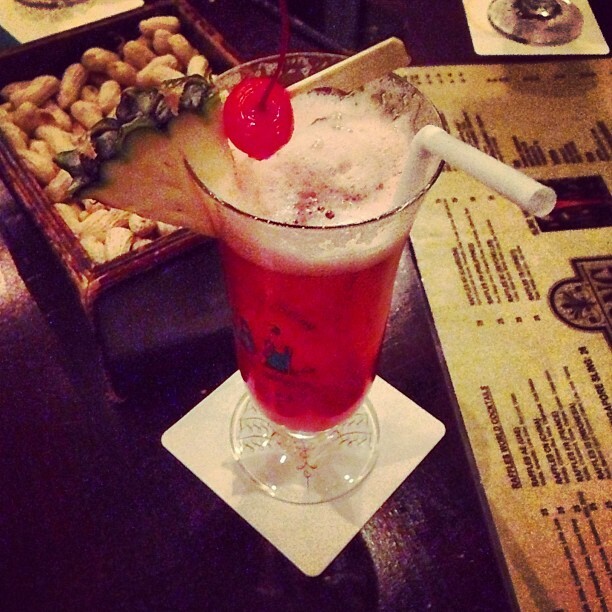 Of course we could not have left Singapore without going to Raffles for a famous Singapore Sling! A really cool place that although is extremely famous, it didn’t feel at all touresty. Very cool interia, a great live jazz band and the relaxed feeling you get when you chuck your peanut shells on the floor. A couple of words of warning when visiting Singapore… it is humid, VERY humid. The only downside to our hotel was the lack of pool and in that heat – you need a pool! Also ladies, when visiting little India make sure you cover up. It sounds so old fashioned but the men will stare a lot of you have our shoulders and legs out. Maxi skirts and a coverup all the way!